In our breeding program, we have employed a strict evaluation system. 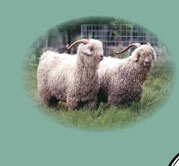 Each goat is evaluated on a large number of characteristics. 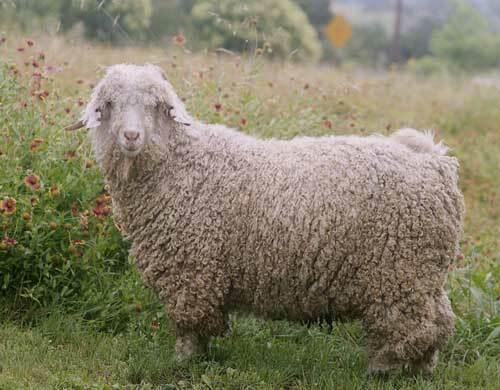 These include face cover, cover on feet, type of tail, horn type, body conformation, spring of rib, leg conformation, body size, body weight, lock style, length of fleece, shearing weight, and amount of kemp. 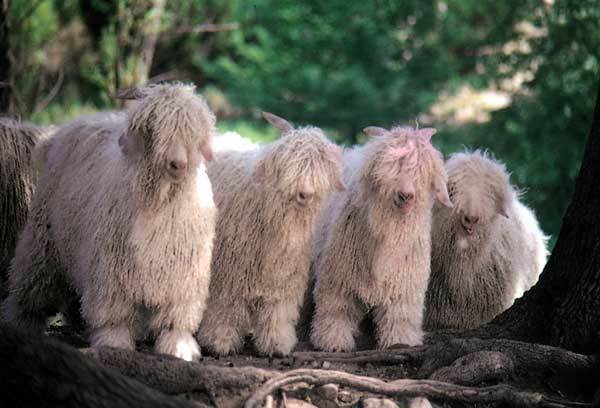 On each goat an evaluation of grade of mohair on the neck, side, and britch is recorded. 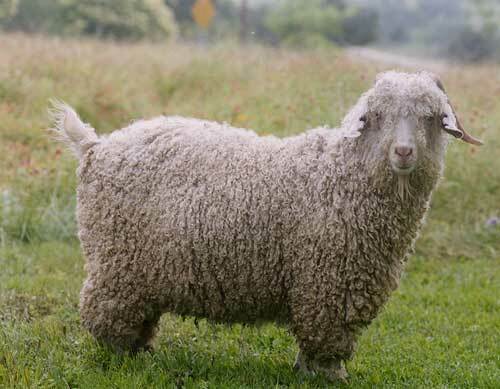 Undesirable characteristics that result in immediate culling are factors such as sheepiness of fleece, excessive kemp, or unsound mouth. This evaluation is used for two purposes. One, to determine if the goat is to be kept in the registered herd, placed in the commercial herd, or to be culled. The second is used when breeding the goats. For several years we would “mix and match” by trying to correct problems. 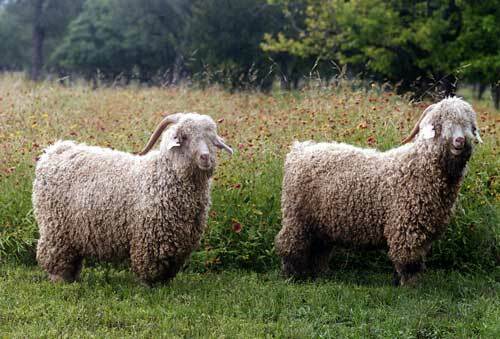 For instance, we would have a very uniform fleeced, fine buck that had narrow back legs. We would place him with straight legged does with good spring of rib. We might select does that were not as uniform on the neck. Strict records are kept on the offspring. If the cross worked, we keep mating a particular buck or his offspring to that doe. If the cross was disappointing, we try another buck. If a doe fails to have an acceptable kid after being bred with three different bucks, she is out of the program. 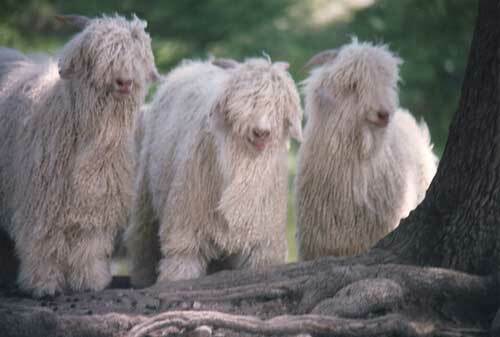 After several years of using our evaluations to try to straighten out problems, Hayden Haby (a respected authority on Angora goats) told us to mate the “best to the best” and “quit straightening out problems”. In the interim since we took his advice, our breeding program has made the biggest advances. 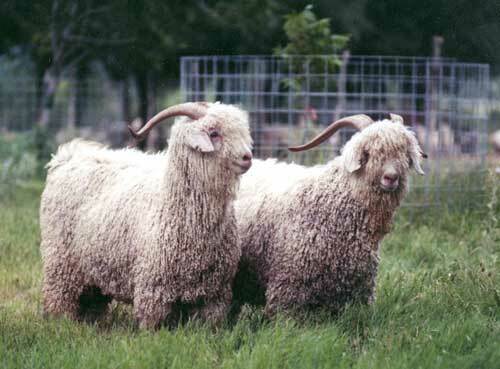 Each year the uniformity of the herd improves and the percentage of culls and lower end goats decreases. We have placed the breeding records and evaluations on computer in an attempt to simplify breeding choices. It is still a very time consuming endeavor in selecting which bucks to place with particular does. However, we believe strict attention to small details allows a breeding program to keep going in a forward direction.